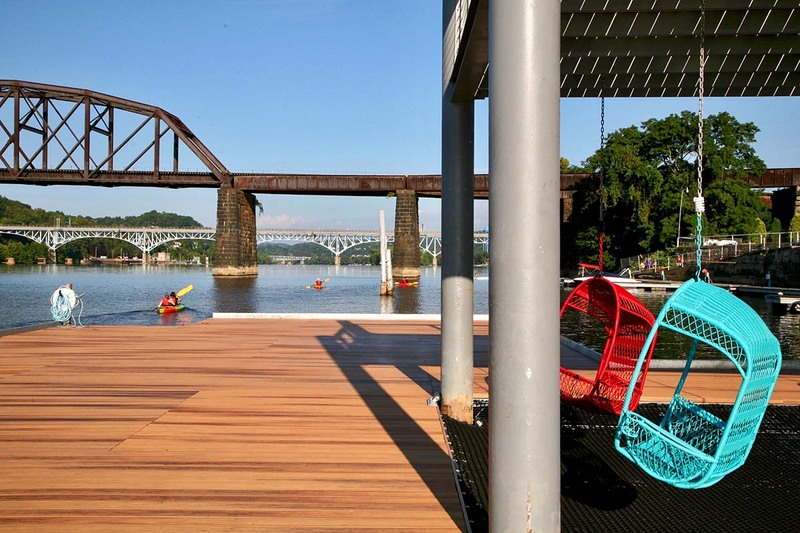 To design a Master Plan for a privately held publicly accessible Park including accommodations for the future development of the Erie to Pittsburgh Trail. 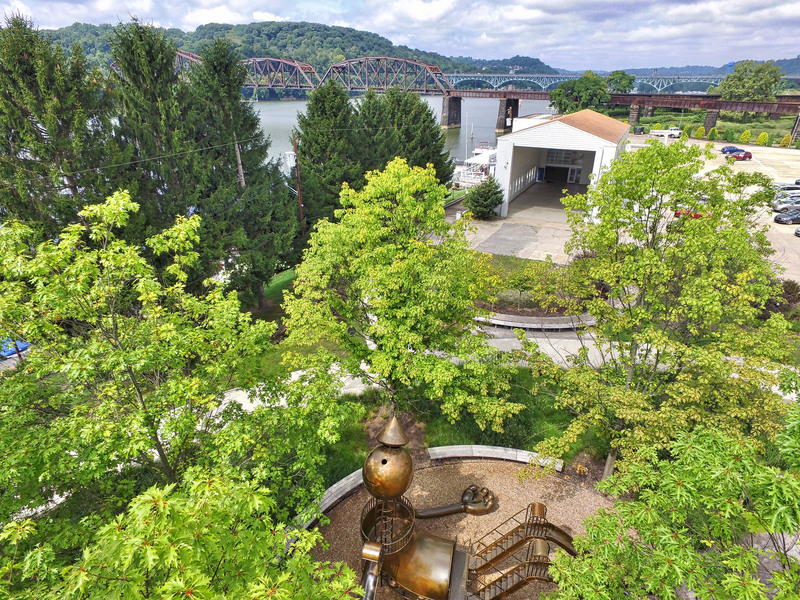 Situated along the Allegheny River in the historic Pittsburgh suburb of Aspinwall, the 13-acre Aspinwall Riverfront Park (ARP) provides the community with public access to its riverfront in more than 100 years. 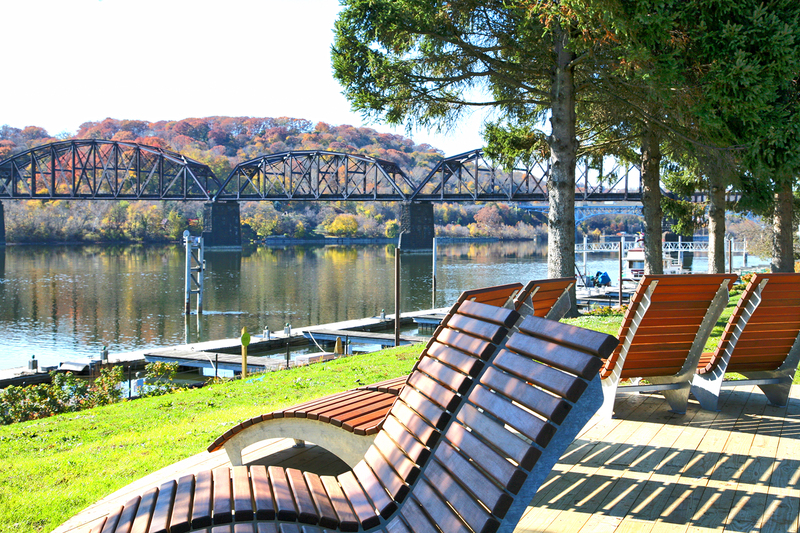 The Park is located on a working waterfront that includes a private marina, a federal lock and dam facility, a water treatment facility and a former metal scrap yard. 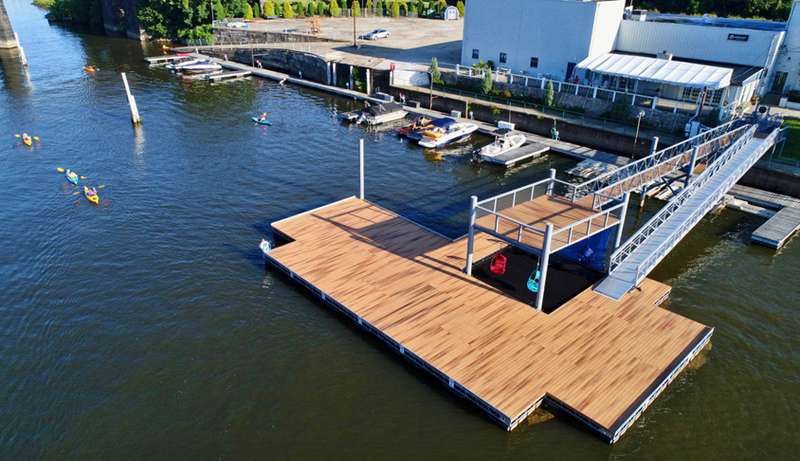 The Master Plan leverages this working waterfront to create a fiscally sustainable development model by maintaining the existing private marina on-site. In addition to capitalizing on some shared amenities, revenues from the marina operations will directly fund maintenance costs for the park. 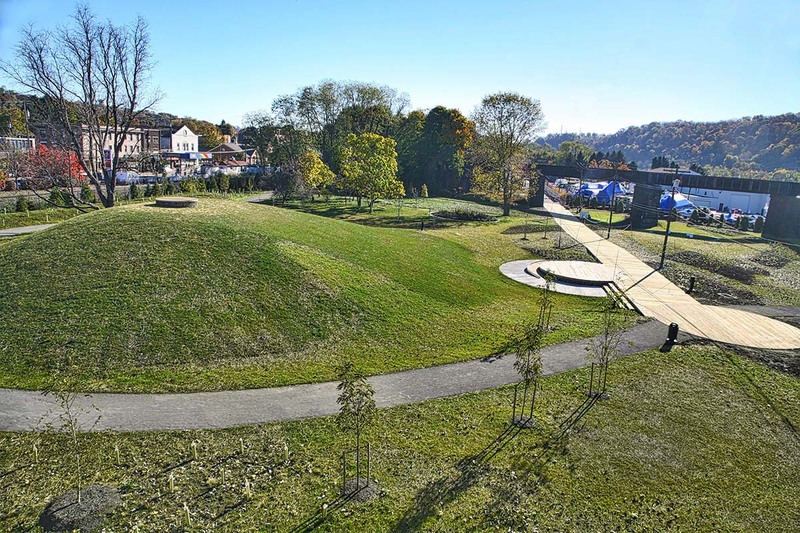 The ARP design concept, “Raindrops to River”, furthers the principle of sustainable development through the implementation of an artistic passive stormwater management and infiltration system, a landform amphitheater, a man-made wetland and a partnership with the neighboring Pittsburgh Water and Sewage Authority facility. 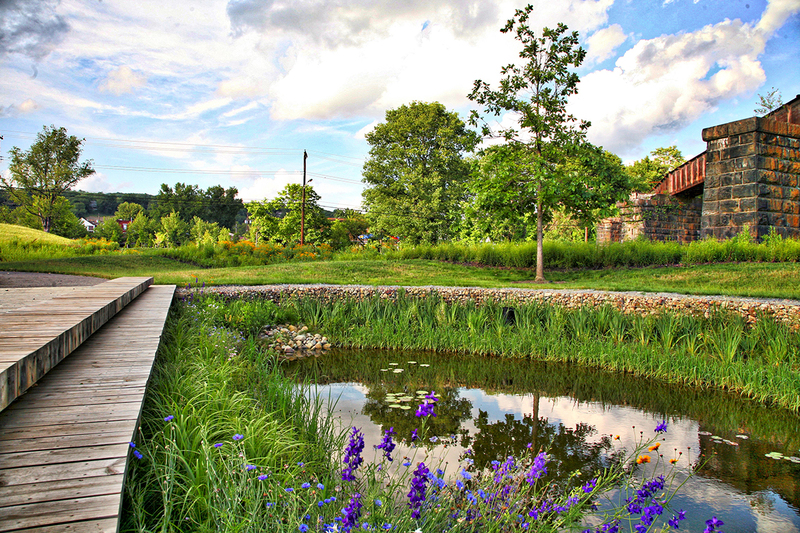 This learning landscape will teach future generations about sustainable stormwater management and drinking water treatment. ARP serves as an important link in the proposed Erie-to-Pittsburgh Trail and accommodates this future trail connection as well as provides over a mile of internal trails. 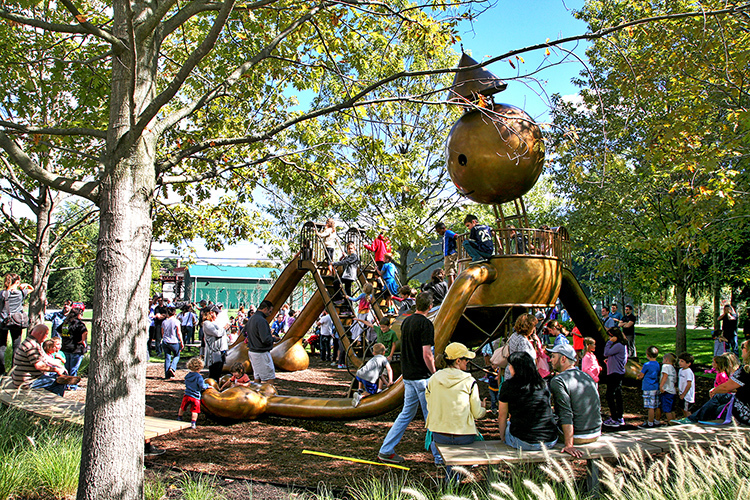 Other key features include a sculptural playscape and public art. 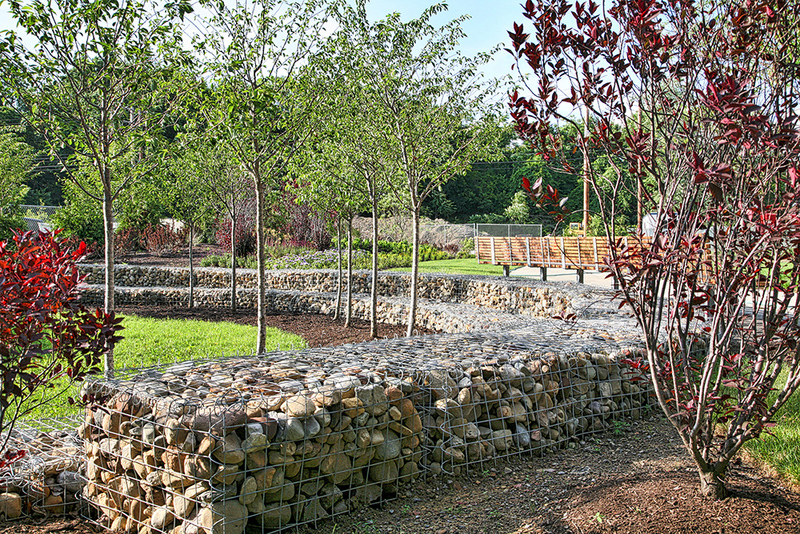 © Environmental Planning & Design, LLC. All rights reserved.